Once you get used to your trees, it’s easy to feel like they’ve been there forever and they aren’t going anywhere soon. If you don’t take care of them properly however, this couldn’t be further from the truth. That’s why we provide tree shaping in Wheeler. Vernon Imel Tree Service should always be your first choice for professional tree shaping. Our experienced tree shapers can remove just enough foliage to keep your tree visually appealing and healthy for years to come. Tree Shaping Improves Safety – Trees that are allowed to grow naturally will seek to expand as far as resources allow them. The further outwards this occurs, the weaker branches from the trunk become. These can be a major hazard for your property and your safety. Our tree technicians perform what’s known as dead-wooding, where they remove hazardous, dying limbs to increase health and safety. They can even work around power lines. Tree Shaping Improves Aesthetics – We have many methods for tree shaping in Wheeler at our disposal. Vista pruning and crown reduction are both used to visually improve your tree and your view. Our tree shaping service can reduce a canopy for greater sunlight exposure, reducing electricity cost and naturally warming your home. 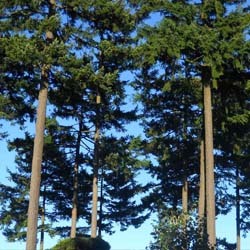 Tree Shaping Improves Value – Tree shaping is an incredibly cost effective way to increase a property’s perceived value. Uniform trees make a property visually appealing, creating a landscaped, controlled look. This can increase value and asking price for rental properties, even paying for itself in the long run. Framing – Framing helps to shape tree limbs and branches using a number of tools. It is often employed when doing decorative shaping that creates amazing living ornaments. Grafting – Grafting is a method for creating connections and joints when shaping a tree. Skilled tree shaping technicians are able to fuse individual plants or trees together with saplings through careful cutting and fusing. Pruning – Pruning is the most common method for tree shaping in our arsenal. With a certified arborist on staff and highly trained technicians, we use it to direct growth, and it is often all that is required for effective tree shaping. 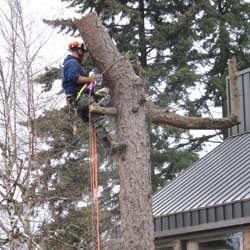 For reliable, effective, precise tree shaping in Wheeler, call (503) 812-8967 or Contact Us today.